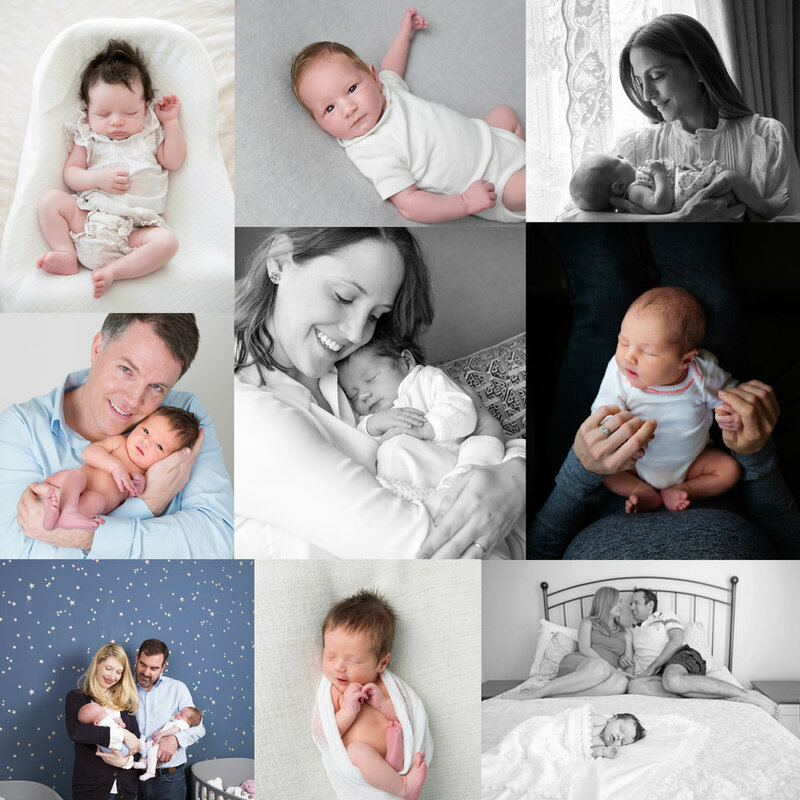 Specialist newborn photography session which includes parents and sibling portraits. 30 retouched digital images in colour and in black and white. Sessions are around four hours long and for babies up to six weeks old. Your home environment is a lovely place to capture the first portraits of your new baby. It reflects your style and personality and will document the first home your baby lived in. I use your home as a backdrop and capture authentic, unposed moments of you and your family. My studio is fully equipped for newborn photography sessions. I like to concentrate on natural portraits which will withstand the test of time however I also offer stylised images with props as let’s face it - they are so cute! !